You never seem to know these days how the bands are going to treat you! After working just 4 stations in the SKCC WES this weekend - mostly due to only being able to operate for 2 hours - but the bands stunk for me, I was hoping today would be better. I tuned around on 20 and heard a few signals so I dove right in and started calling CQ with my 5 watt signal from the KX3 into my vertical portable antenna. 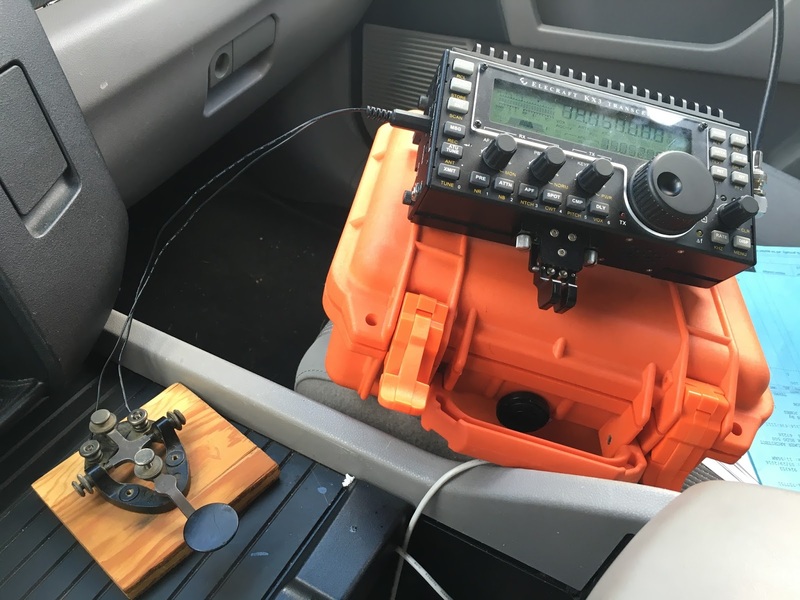 WJ2L - Bill was near Nashville, TN and was very weak - I couldn't copy all the QSO, so I don't know if he was QRP or not, but I think he was. 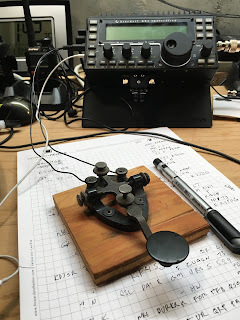 He also would sign WJ2L/4, which adds to my suspicion he was QRP. 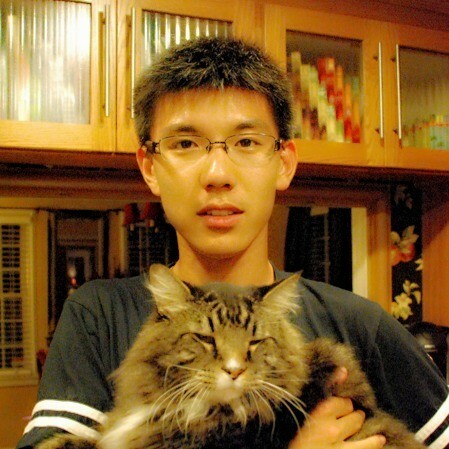 KM4ICI - This was a quick contact, Xiaoyu was working the club station of K4KDS. He is from China but studying Electrical Engineering at Virginia Tech. 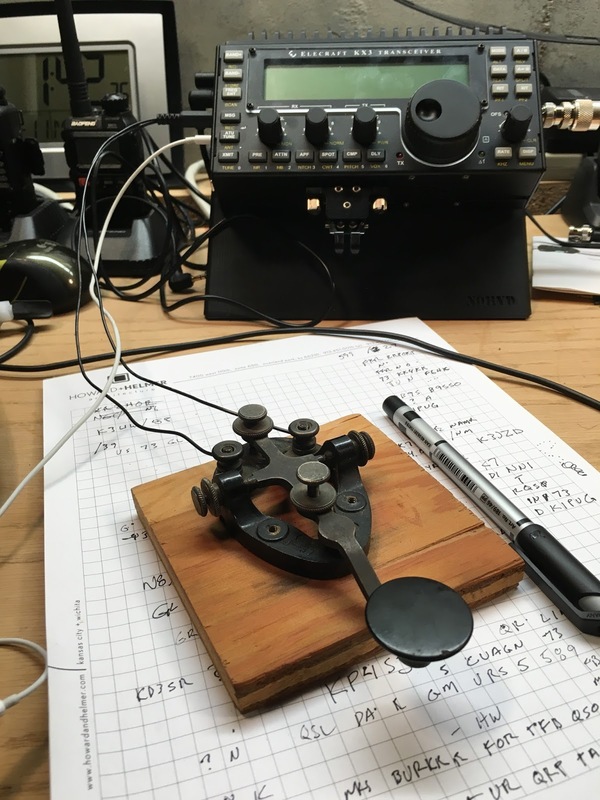 K4KDS is the club station of Virginia Tech Amateur Radio Association. He is a really new General, and it was fun to work him! N9ZXL (7114T) - A new SKCC contact for me - Dave was in Illinois and has a couple of Elecraft rigs as well. W9AKS - Bobby was in Wisconsin and had a booming signal here to Kansas. He was sending a bit fast for me, but I got the important info! 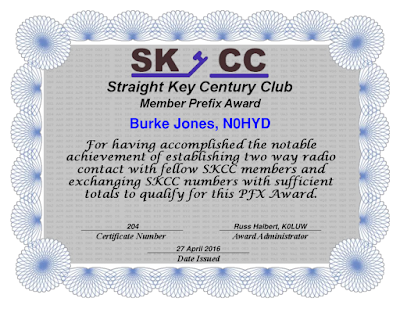 KE5AL (12776S) - Another new SKCC number for me, Jim answered my QRZ after wrapping up with W9AKS and had a great 599 signal to Kansas today from Texas. He was running 90 watts, and I asked him to slow down for me as I was only copying about everyother character - and he graciously did! He said QSB was heavy on his end, but it was not happening on my end. 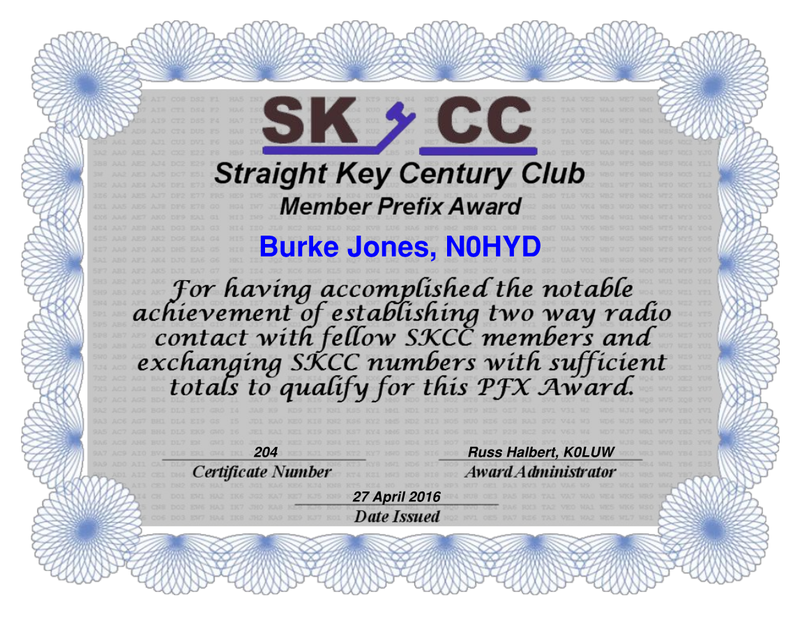 NT9L (7328S) - Also a new SKCC number for me, John was in Colorado and was running QRO, but after I told him I was QRP he switched over and we completed the QSO both using low power! He was 599 here, even QRP - his signal sounded a bit different, but still 599. Thanks John! So it was a fun time on the radio today from the park. I have just 10 more unique SKCC numbers to collect and I will finally be a Centurion! I am having a blast working these guys, and with the sun spots diminishing, keeps things very interesting and fun.